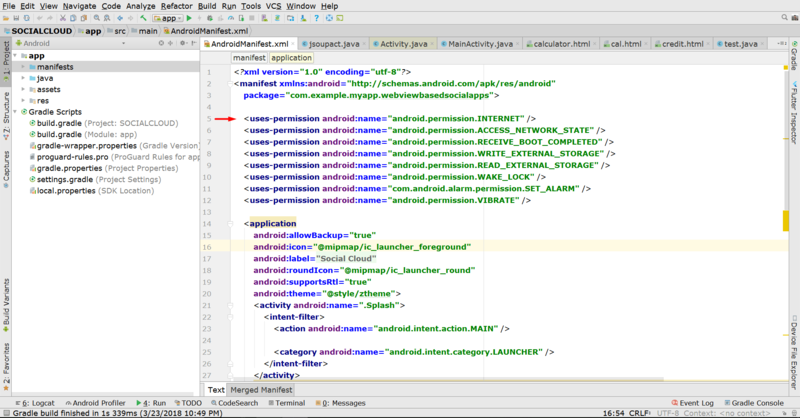 We will look how to add internet permission in android manifest in android studio here. Internet permission is necessary if your android app connects to internet. Without internet permission, your app will show error message when trying to load data from web. So let us set internet permission, Go to Android studio and then select app > src > main and select manifest. This code must be above the <Application.